American Heritage School introduces the Medical Professions Program for students who wish to prepare for a career as a physician, physical therapist, dentist, chiropractor, veterinarian or any of the other career opportunities available in medicine. From ninth through twelfth grades, students follow a course of study designed to equip them for college with science courses unique to a high school program. Courses in the Program are taught by medical professionals with current or previous experience in that field. Students must meet the admission requirements of the Medical Professions Program. In order to complete Medical Professions Program, students must take a total of 9 academic credits (8 required and 1 elective). It is important that students plan carefully from the start of their High School career in order to complete all program requirements by senior year. In order to complete the program, students must forfeit their independent and take seven classes each semester. Students are required to maintain a 3.5 GPA in all Pre-Med courses in order to remain in the program. The Medical Professions Program has generated much interest on the part of high school students. In addition to classes, students may participate in the Premed Society. All of the students in the Medical Professions Program participate, but so do many other students who find the Society’s activities interesting and different. Membership in the Society approaches 100 students. The Premed Society is led by Science Department Chair, Dr. Douglas Laurie, and science teacher, Dr. Carlos Pulido, and has been developed in conjunction with area health care providers over recent years. The activities of the Premed Society are totally unique and designed to give “real life” experiences to students considering the medical profession. Often, students attend presentations given by medical specialists such as Dr. Reinhard Motte, Associate Medical Examiner. He presents a Powerpoint demonstration depicting victims of violent crime and/or drug abuse. Some students have worked with Dr. Motte as part of the Medical Professions Internship Program, and students have spent time with him at crime scenes and observing autopsies. 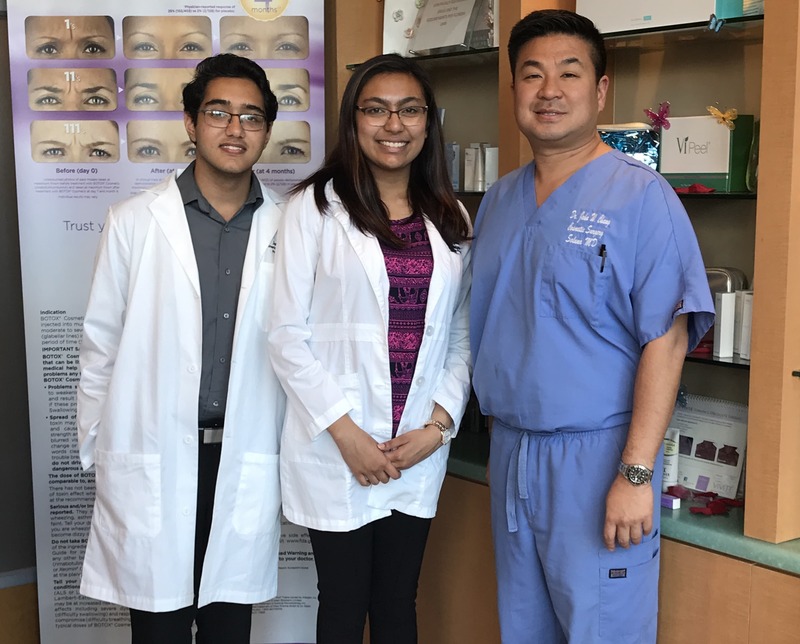 Other health care professionals who have made presentations at Premed Society meetings include dermatologists, plastic surgeons, veterinarians and dentists. NOTE: An “AP” prefix to the course name designates Advanced Placement. These are college-level courses in which a student may earn college credit upon successful completion of the Advanced Placement Exam. Students participating in an Advanced Placement course are required to take this exam in addition to other course requirements.